As spring warms the weather, we can store our winter coats away for another year. We feel warm, revitalised, and everything requires just a little less effort, a little less preparation. Every spring, however, it’s important to clean out the dust and dirt that can accumulate over the stuffy winter months, as well as clearing out the areas that are often neglected. Furthermore, it’s essential that you keep an eye out for any signs of pests that have taken up residence in your home during the colder months. So that you and your family aren’t playing host to any nasty winter pests, we’ve put together a cleaning guide for pest-proofing your home this spring. Although basements and garages can be great places for storage, it’s easy for these areas to become cluttered and dirty. Spring clean your spaces by disposing of unused items, and re-organising your storage boxes. Make sure you store your items in plastic or stainless steel sealed boxes, as opposed to cardboard. Removing any unused equipment and minimizing any clutter can help prevent an infestation of pests by eliminating their hideout. Another important task of spring cleaning is to check for any tears, holes or cracks in fly screens, windowpanes, doors, or any other openings where outside critters may enter. Seal off these entry points in order to prevent pests gaining an easy pathway into your home. As well as this, sealing off any entry points will also keep your house better insulated for the impending warmer months. During winter, dust, grime and pests like to conceal themselves in warm, hard to reach places that are shielded from the elements. 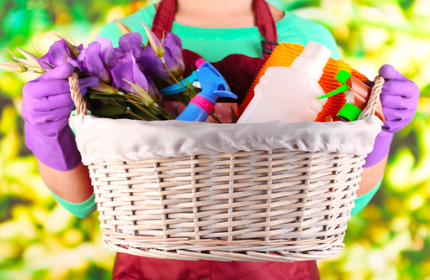 As it comes into spring, make sure you give your house a thorough clean, including all the home’s nooks and crannies. Common places for pests and dirt to hide are under washing machines and fridges, at the back of cupboards, and beneath furniture. Ensure that both your indoor and outdoor garbage disposals have tight fitting lids that are well-sealed. Avoid leaving trash bags lying around the inside or outside of your home, as these are a potential smorgasbord for germs and bacteria, as well as foraging pests and vermin! Reduce potential pest inhabitation by keeping your garden and outdoor area well-kempt. Mow the lawn regularly, and be sure to thoroughly remove weeds, leaves and unnecessary vegetation. Even lawn clippings provide an ideal breeding medium for flies, so try to deter from making piles of garden offcuts. Moisture provides the right environment for pests and bacteria to thrive, including mosquitoes, cockroaches, termites and rodents . Check the pipes in your bathroom and kitchen sinks for any leaks, as well doing a once-over of your laundry. This will help prevent pests from entering your home and taking up residence in these areas. As you embark on your seasonal cleaning this spring, don’t be surprised if you find any small, unwelcome guests inhabiting your home! 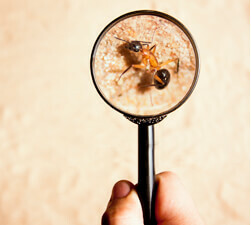 The warmer months encourage pests out of the sunshine and into your home. However, pests can cause severe damage if not treated with the appropriate care. If you discover some pesky critters that you need help getting rid of, don’t hesitate to call the friendly pest professionals at Dawson’s Pest Control today on (03) 9222 2266.